This PDF 1.6 document has been generated by Adobe InDesign CS2 (4.0.5) / Adobe PDF Library 7.0, and has been sent on pdf-archive.com on 01/09/2011 at 23:43, from IP address 65.219.x.x. The current document download page has been viewed 779 times. File size: 490 KB (14 pages). 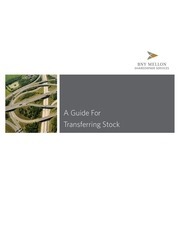 This guide has been created to help you understand the process of transferring stock. to complete the most common types of transfers. entering information on the Transfer of Stock Ownership Form. different beneficiary named on each registration. the property of the surviving tenant. become a part of the estate of the deceased tenant. trust, and agreement date or the first and last pages of the trust agreement. All transfer requests should include the completed Transfer of Stock Ownership Form. Signature Guarantee from an institution that belongs to the Medallion Stamp Program. guarantees. Such institutions include banks, credit unions, savings and loans and U.S.
brokerages. Please note a Notary Public certification is not acceptable for this purpose. • Partnership, a Partnership Certification from a bank or broker. by the county auditor, a Spousal Affidavit. indicating where to obtain this guarantee. 2. The original stock certificates (not required if shares are held electronically in book-entry form). Signature Guarantee. (See the instructions above indicating where to obtain this guarantee). and Distribution does not list the distribution of assets, a photocopy of the will is required. These instructions are intended to cover the most common types of transfers. The enclosed Transfer of Stock Ownership Form should be completed for all transactions. • The Name of the Company whose stock you wish to transfer. address, or may be found on your most recent statement, e.g., SMITH---	JOHNB0000. Include all dashes. 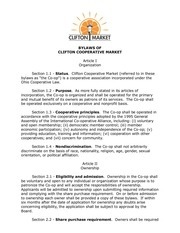 Complete Section B with Current Shareowner Information. at www.bnymellon.com/shareowner/isd to view information about your account. book-entry form unless you request a certificate. An institution that belongs to a Medallion Stamp Program must guarantee signatures. signing this form is in fact the registered owner(s) or authorized representative. and loans and U.S. brokerages. RESULT IN A REJECTED TRANSACTION REQUEST. additional copies of the form, completing sections E, F and G for each separate account. Please complete this section with information about the new shareowner(s). • If estate is over $60,000 a Federal Transfer Certificate must be presented. and/or documents via registered mail with return receipt requested. do not sign your certificates prior to mailing. monitor your account via the Internet at www.bnymellon.com/shareowner/isd. • Complete ALL sections of the Transfer of Stock Ownership Form? • Sign and Date the form in Section D and Section G? • Obtain a Medallion Signature Guarantee, if required? • Enclose all required documents? These will be retained for our files, so please keep a copy for your records. This file has been shared by a user of PDF Archive. Document ID: 00033415.